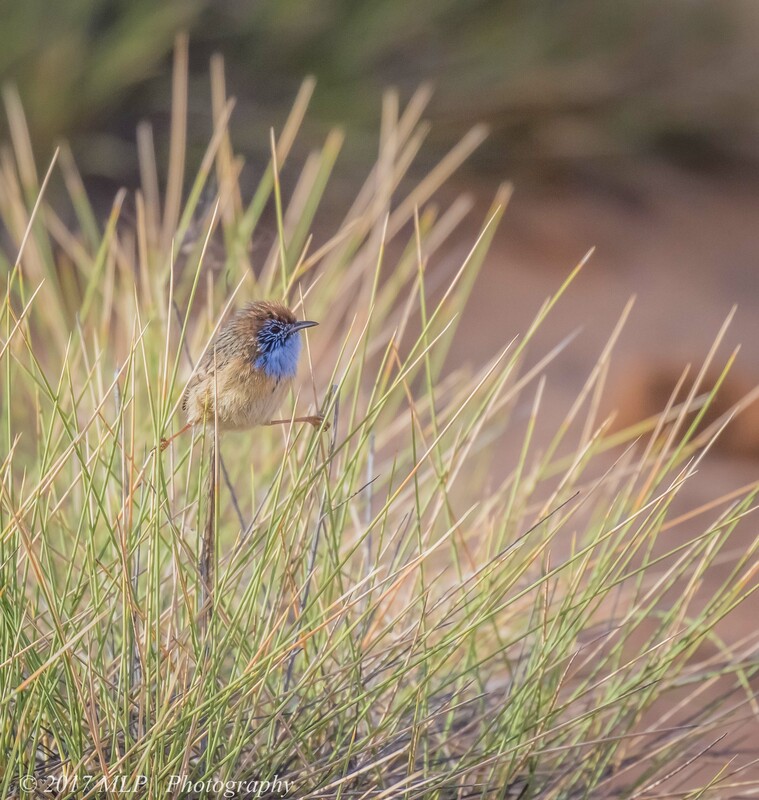 For a birder, one of the main targets for a visit to Hattah Kulkyne National Park is the Mallee Emu-wren. 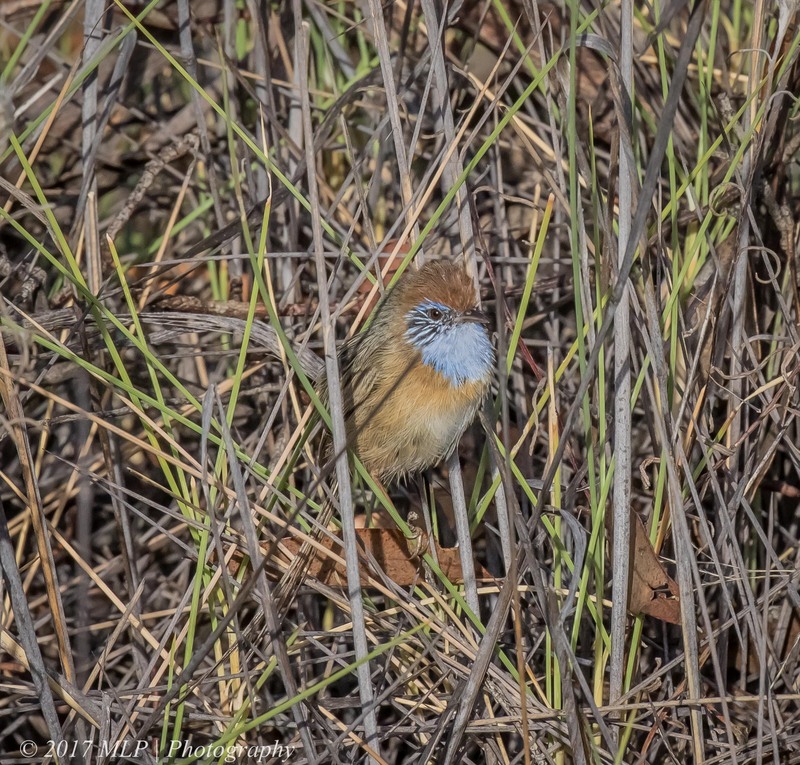 It is a close cousin to the Southern Emu-wren that I have found a few times in different areas along the southern coast of Victoria. 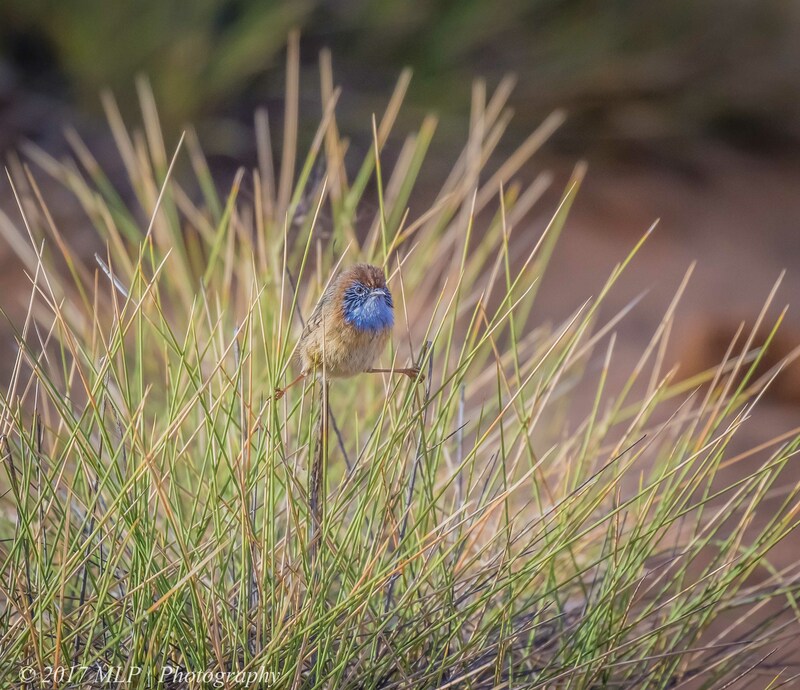 At Hattah I was up early and looking for this elusive little bird as the sun rose. I was probably a bit too early as they seemed to need the sun to warm up a bit and become active. 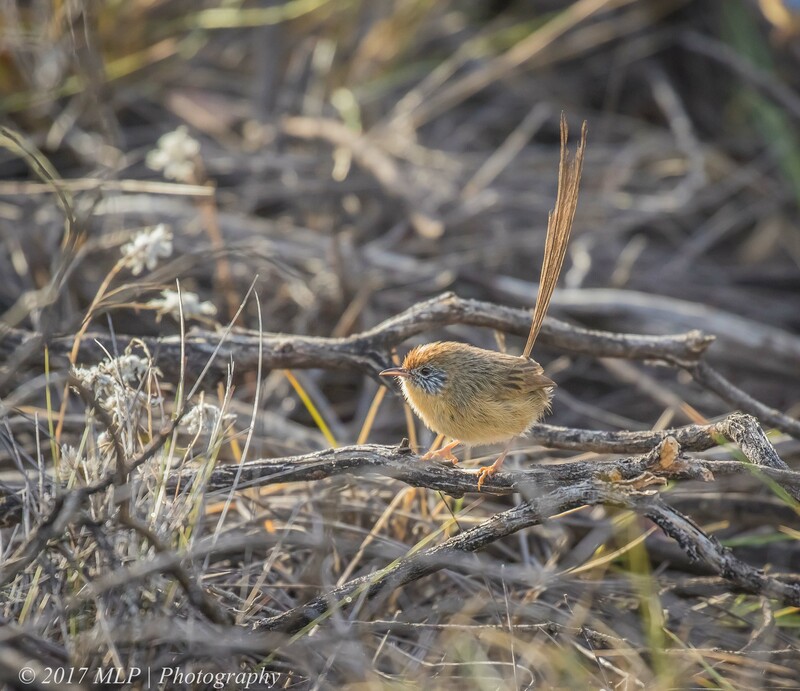 Once up and about they were quite noisy (high pitched squeaks and trills), and reacted well to the phishing noises I made to get their attention. 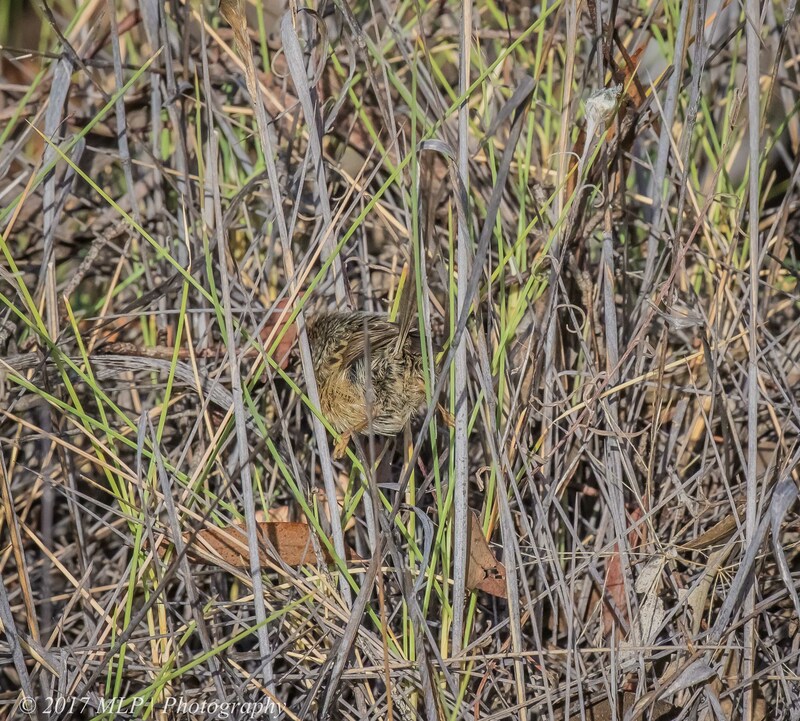 I saw three family groups along the track and managed to photograph several individuals as they came out to investigate my presence. 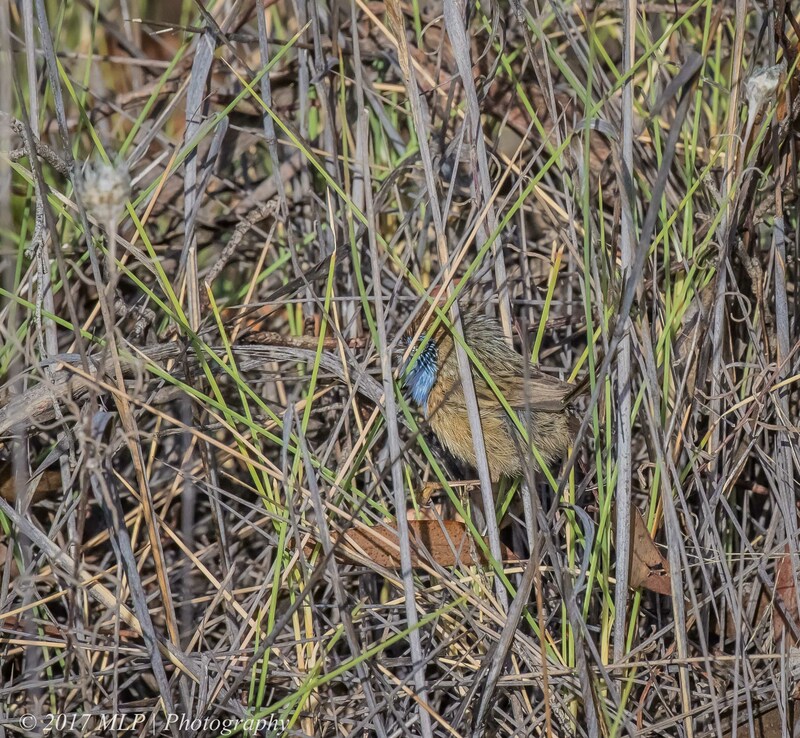 The male’s blue throat can give away their presence in the grass. A typical pose when looking out for danger or watching for intruders from neighbouring tribes. 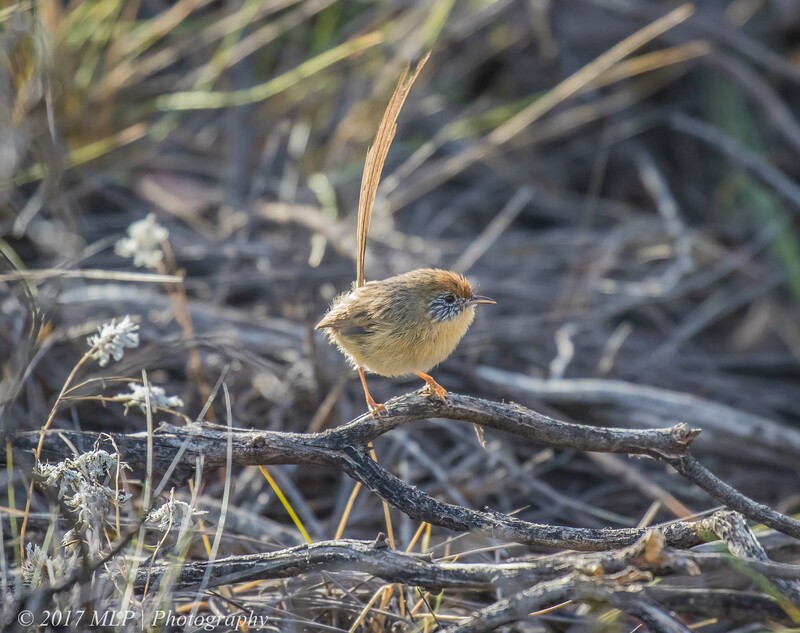 In this position the tails hangs down, the muscles are probably needed just to keep that pose. 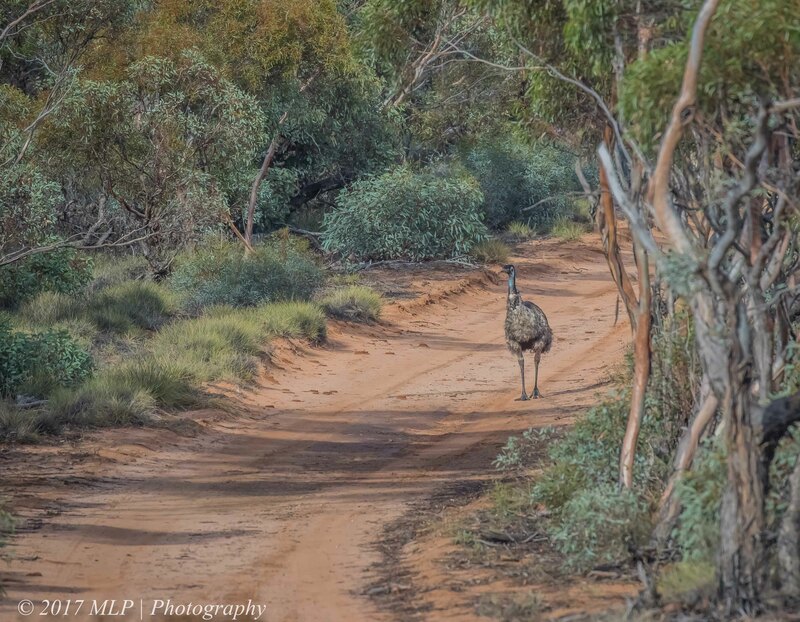 Emu walking down the Nowingi Track, the typical vegetation of the Mallee Emu-wren, more trees and other vegetation variety compared to the needs of the Southern Emu-wren. 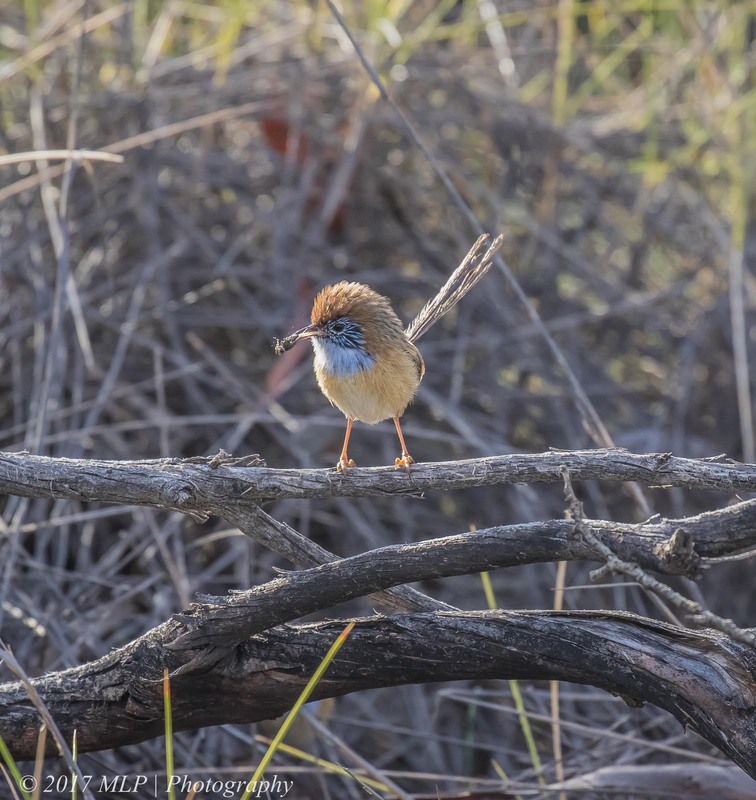 This entry was posted in Bird Behaviour, Birds, Victoria and tagged Australia, Australian Birds, Bird Photography, Hattah, Hattah Kulkyne National Park, Mallee, Mallee Emu-wren, Nature Photography, Photography, Victoria. Bookmark the permalink.